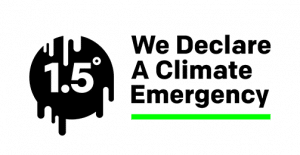 Moral Fibres Is Five! Let’s Celebrate With A Giveaway! Can you believe Moral Fibres is five years old? Crazy times! Five whole years of showing the world that sustainable living can be hip, not hippie feels like it’s flown past in the blink of an eye. Time sure does fly when you’re having fun! To celebrate I have teamed up with two of my favourite ethical retailers – People Tree and Green People – to offer Moral Fibres readers a really lovely ethical giveaway! ♥ And finally, one lucky reader will win a copy of my new book, Fresh Clean Home, packed full of natural cleaning products you can make at home, for every corner of your home. To enter simply take part via the Rafflecopter widget below. If you follow Moral Fibres in an RSS reader, you may need to click through to the site to take part. The competition is open until 12am (GMT) on Monday 11th February 2018, and open to readers worldwide. 1. To enter the Moral Fibres prize draw giveaway leave a blog post comment letting me know what your favourite types of articles on the blog are. There are additional entries available for completing other options 2. There are 3 prizes, to be split amongst 3 readers – 1 person will win £50 to spend online at People Tree; 1 person will win a Divine Treat Gift Set from Green People; and 1 person will win a copy of Fresh Clean Home by Wendy Graham. No cash or alternative prizes will be given. 3. The prize draw will start on Friday 9th February 2018 and end at 12am (GMT) on Friday 16th February 2018. The winner will be picked at random from all valid entries. 5. The winner will be notified directly via email. The winner must reply within seven days of receiving the email or a new winner will be picked at random. 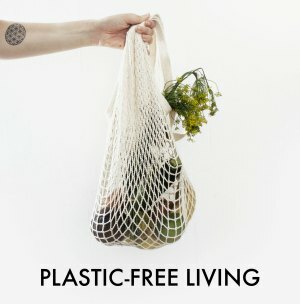 I really like articles that give simple tips to going plastic/waste free. The posts I most enjoy are those about natural beauty and ethical fashion. I’ve been working on adding more ethical and organic pieces to my wardrobe for about a year now and your blog is usually the one I turn to first for any resources, tips, and guides. Wow five years! That’s incredible! Been reading your blog almost since it started and it’s one of my favourites, and definitely the most useful blog I read. I love how many topics you cover so I can’t suggest any new ones, just keep it going! I love the gift ideas! I enjoy your plastic replacement posts and reusable crafts – I think I originally found you via the post on reusable crochet face pads! Amazing that you have been going for five years! I have probably been thinking about starting a blog for the same amount of time but you have gone and done it! I really appreciate the range of posts you have on Moral Fibres, but I particularly enjoy the affordable fashion ones. There’s nothing wrong with hippie! As an older reader of your web site I can remember that hippies were one of the first cultural movements to try to live more sustainably and with a strong awareness of ecology and environmentalism. Congratulations on 5 years! I think I first started reading your blog when I was looking for more ethical clothing options and I’ve found so many great things on here over the years. I like the mix of topics on here and I like that you acknowledge the complexities of ethical shopping and sustainability. I really like articles on going plastic free. Also if there are tips on using less chemicals around the home (which presumably will also help in going plastic free as less cleaning product is used) I also enjoy reading those. And anything on reusing items from around the home in some way. I enjoy articles about ethical fashion, which is how I discovered your blog. Where I live I have to endure summers with temperatures in the high 40s so would love to see a post about ethical work appropriate summer clothing for such high temperatures, if such a thing exists, as every time summer comes round all I can find are itsy bitsy viscose and polyester dresses, which I really don’t want to include in my wardrobe! I especially enjoy the articles where you talk about your personal experience. And the crochet pad pattern is amazing! THe book looks interesting about using natural ingredients for home cleaning. Love using vinegar and lemon to clean. I’ve just started reading your blog and am trying to reduce the amount of plastic and general waste that we have in our home. I like articles about how to make changes in household items. Also recipes for homemade cleaning products. My favourite posts are ones about ethical fashion. This is one of the areas I find it hardest to make real changes in, finding a balance between affordability and buying ethically is really difficult – recommendations are always welcome! I enjoy tips for going plastic/waste free, and also recommendations on ethical products and companies. I enjoy articles that open my eyes to things I wasn’t aware of before like “Is There Plastic In Your Tea” and “Ethical Alternatives to Amazon”. I also like fashion articles and 10 things. Congratulations on five years, and thank you for the giveaway. I love the weekend round-up posts about sustainability and ethical fashion issues across the globe. It’s a great primer for me who doesn’t know where to look for this information. Sometimes I even just read your blurbs because they beautifully summarize the piece. I’m enjoying the 10 things series, always end up finding something interesting. Always enjoy the ethical fashion information too. I enjoy your ’10 things’ articles best! This year I am trying to reduce the amount of plastic I bring into my home,so articles on that too. Thanks for the giveaway, and for an interesting blog! I enjoy all parts of the blog, especially our world issues and the good people who are tackling our issues. I loved your article on how to make fresh food last longer. I just found out about your blog very recently and I love it! My favourite articles are the ‘ten things’, they are always very positive and interesting! I’ve recently moved to Scotland from Portugal and your blog is an excellent way to know local brands. I also like your tips about using less and less plastic at home, it’s one of my main goals for 2018. Thank you for brighten up grey days! And further to my Hippies comment, I love your green cleaning posts! I just discovered your blog and am very excited to discover it more. So far, I am really excited about what I read here and especially like all the articles about a reducing plastic and waste. (That’s actually how I discovered this blog.) Happy 5th anniversary from a new reader! I love learning about new-to-me fashion companies! I love the food and drink articles. I always like to read about new tastes. I have been following you for about six months. I love reading about fashion, zero waste and things to do in Scotland. I think there is so much focus on blogs that are based in England, particularly London, so I love to find blogs that are nearer to me (I live in the Scottish Highlands). I like how you take a flexible approach to being more eco friendly, you make changes like drinking milk alternatives and you don’t put pressure on to your readers to be perfect. I started following your blog a few years ago as part of my aim to reduce plastic in my life and practice the beliefs I hold. I now find I’m drawn to your articles about ethical living and shopping. Thank you for making it easier to find ethical choices. I’ve been reading for about two years now and I love your ten things posts, and I love the balance of articles you provide – a bit of fashion, a bit of home and great practical advice. I love all the natural cleaning ideas, but especially the 10 things on a Sunday posts as they direct me to interesting articles that I would have missed otherwise. Thank you. I love the zero waste articles most! I really like the articles for things I can make or do at home, like the crochet makeup remover pads, or the email addresses for contacting tea manufacturers. 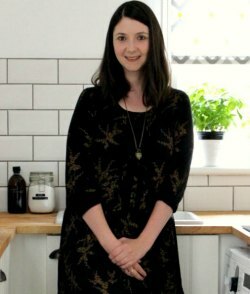 I’m new to your blog but have enjoyed reading about some of the small, practical changes that I can begin to embrace…and the vegetarian recipes! 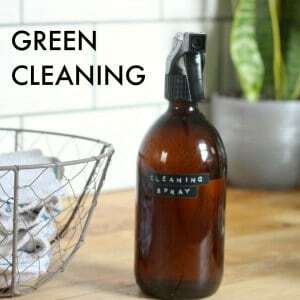 I’ve only recently discovered your blog, but I love the green cleaning ideas. I’m now trying to use up my old cleaning products so I can reuse the bottles to make my own! We, happy birthday to moral fibres! I have only been following for a few years but found you via searching from an ethical swimsuit…. I just love all the creative posts and the ones on cutting down waste in general :) keep up the good work! I like the articles on reducing plastic waste – inspiring! Really love what you do Wendy. I love the eco-cleaning recipes! Hi Wendy, I have only recently discovered you, possibly via Jen Gale’s social media/podcasts?? I run a deli and we are considering selling bulk food items to cut down on plastic so anything relating to food or reducing plastic is useful to us. I’m also part of a Transition Town so its nice to share ALL of your posts :) thank you for the inspiration. Ten Things are great, I enjoy reading them and finding other links/people to follow, a great promo tool. I really enjoy the weekly ten things. I love the way you bring together a whole bunch of different links / stories that I probably haven’t heard about, but that are all of interest to me. Thanks! I love the 10 Things posts – there’s always something there I didn’t know or hadn’t considered. Congratulations on the 5th year anniversary! My favourite posts are on green cleaning and tips to reduce your waste, I am always looking to improve that! I also enjoy the links to interesting green news and articles in your 10 things posts too. Just all of it – in making living sustainably more accessible to and an achievable goal for me! I have not seen your blog before now but I like anything on arts and crafts and using sustainable and eco-friendly materials. Wow, that dress is beautiful! I’ve always wanted to shop at People Tree but couldn’t justify the price to myself, one problem with ethical shops! I go secondhand for clothes normally. But maybe I’ll win and have the chance to own a People Tree item!